overwhelmed by the size and intensity that a migration exercise can bring? Upgrading your solution stack ensures a level of continuity in terms of the developments within the technology ecosystem. Routine upgrade planning is essential not only to remain up to date, but also to receive support for plugins, extensions and code issues. The primary resistance to upgrade is the rationale – ‘if it ain’t broke, don’t fix it’. 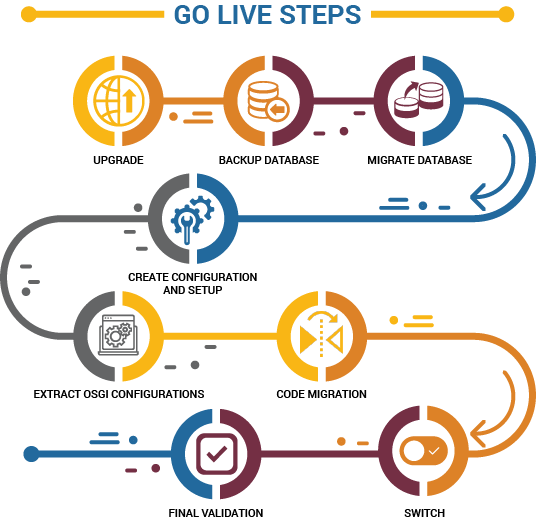 Often the objective of transferring huge amount of data, plugins, and workflows into a new version can seem overwhelming. Here are the major challenges w.r.t. upgrades in DXP. Sign-up and get yourself assigned with a Personal Upgrade Coach who would help you draft your own upgrade path. The Personal Upgrade Coach is a Liferay Expert with an excellent track record of working on various versions of Liferay.